Are you using Facebook? I know you use it. Have you ever tried to make too many friends on your Facebook profile? If yes then you will have an issue on your Facebook account that you will be get blocked by the Facebook for three, five or seven days. The reason for this temporary blocking is that Facebook just allows those people to become friends who you know in reality. 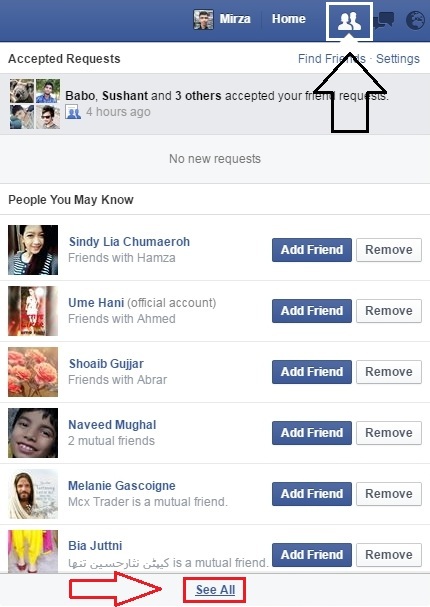 If you ever send too many requests on Facebook, then Facebook will detect you, and you will be blocked. 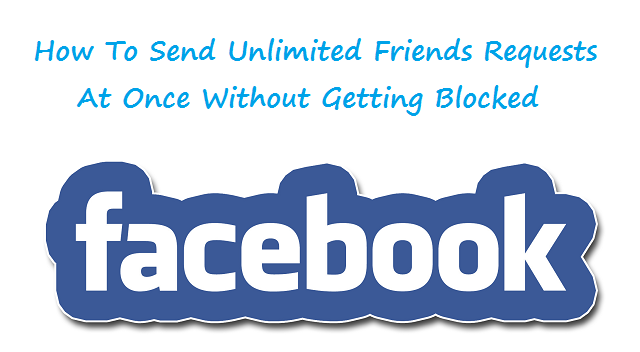 Getting blocked from sending too many friends requests is a big problem, but I know there is also one other problem that is you have to send the requests to the people one by one as there is not any option on Facebook to send countless friends requests to your friends at once without getting blocked. But, don't worry there are many tools, scripts, extensions and tricks available on our site that can help you to send unlimited friends requests on Facebook at once without getting blocked by Facebook or without sending requests one-by-one. But there is a question why Facebook blocks to its users from sending many and many friends requests? The answer is if you are using Facebook for a while and suddenly start sending too many friends requests to other people then Facebook will think something is wrong with your Facebook account either you are using this carelessly, or someone has hacked your Facebook account and is doing these none sense things. The other reason is if you are a new user and after creating your account you have started to send many friends requests then Facebook will think you as a fake person and will block your Facebook account for three, five or seven and if you do not stop sending requests after then Facebook will start blocking your account for one month (30 days). Facebook not only blocks accounts due to sending many friend requests, in fact, but there are also many reasons if you use your profile to promote your business, you post fake statuses or anything of this kind then you will be blocked. Just leave this there may be many reasons for this you just need to use your profile honestly and Facebook will never block you. Have you every tried to send requests on your Facebook profile, if you have tried then the biggest problem you would face is to click on each ADD FRIEND button, but here in this guide I am going to tell you how to send countless friends requests at once? Just follow the steps given below. Step 1. First of all, there will be GOOGLE CHROME installed on your computer because we will use an extension which is available only for the GOOGLE CHROME not for any other browser. Step 2. Now add the Facebook Social Tool Kit Extension on your Google Chrome. Step 3. After adding the Facebook Social Tool Kit go to facebook.com and log in with your email and password where you want to send countless friends requests. Step 4. Make sure that the extension is turned ON. If the extension is ON you will see an icon on the top RIGHT corner of the Google Chrome. Step 5. Click here to open Facebook Friends list. Step 6. 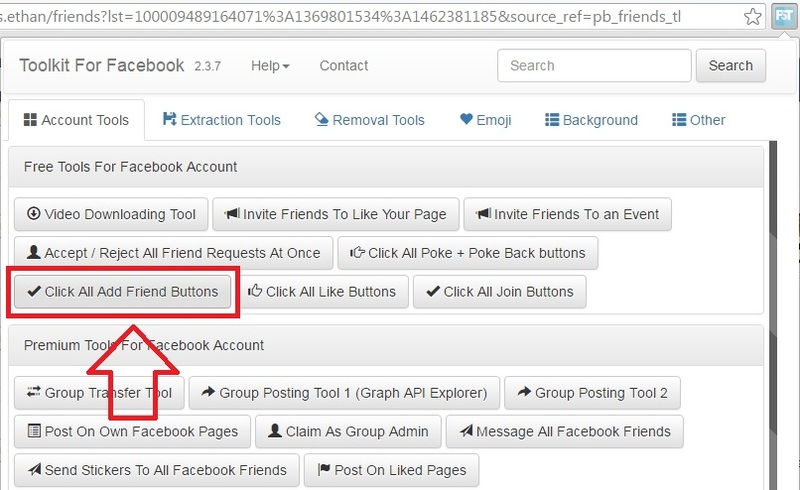 Click on the Facebook Social Tool Kit icon and select SEND MULTIPLE FRIENDS REQUESTS tool under the FREE TOOLS option. Facebook Social Tool Kit will open a new window there you have just to confirm so once again click on the SEND MULTIPLE FRIENDS REQUESTS, that's it many friends requests will be forwarded from your Facebook account. The method to remove all pending request sent from your Facebook profile is not very easily especially when you have sent too many friends requests, but I know if you want to have many and many friends then you will cancel all the send requests from your Facebook account and will send them again to make more friends. So just follow the following steps to cancel all pending requests against your Facebook account. Step 1. First of all, you must be logged in to your Facebook account. Step 2. Click on the FRIENDS REQUESTS icon on the top blue bar and select SEE ALL friends there. Step 3. There will be two boxes one with many new profiles and the other will Saying NO NEW FRIENDS REQUESTS click on the VIEW SENT REQUESTS button. Step 4. 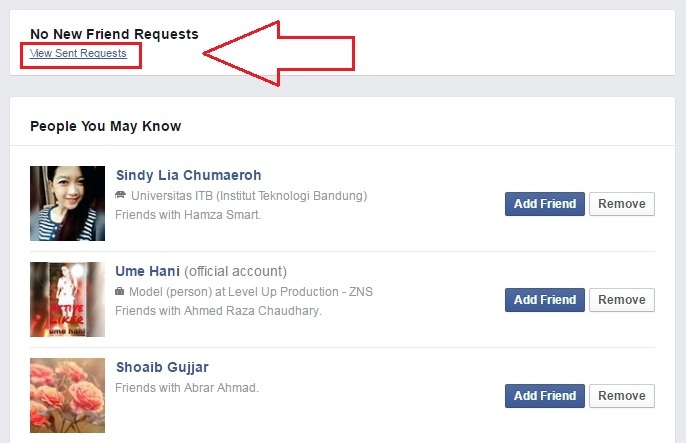 After clicking the link VIEW SENT REQUESTS, you will see a list of requests which you had to send to the Facebook users and they do not accept you just hover over the FRIEND REQUEST SENT button in front of each friend and select CANCEL REQUEST button there. That's it now the request has been canceled. These steps were also paramount because if you did not follow these steps you will reach to your pending requests limit and will not be able to make more and more friends. So, friends this was all about How To Send Unlimited Friends Requests At Once Without Getting Blocked, by following the above methods you can easily make more and more friends on your Facebook account but remember it will take a little time to do this I mean you have to wait until the requests you get sent get accepted this process may take about 2 days. So cancel sent requests after two days because some users do not use Facebook for a long time. If you have any problem, then drop a comment below or contact me using the contact form. But it is your duty to share this article with your friends. Your comment is highly appreciated...Pls click on post a comment above to comment! !